Calling all ghouls and spooky ghosts. Hallows night is upon us and it’s time to raise the dead for another year. 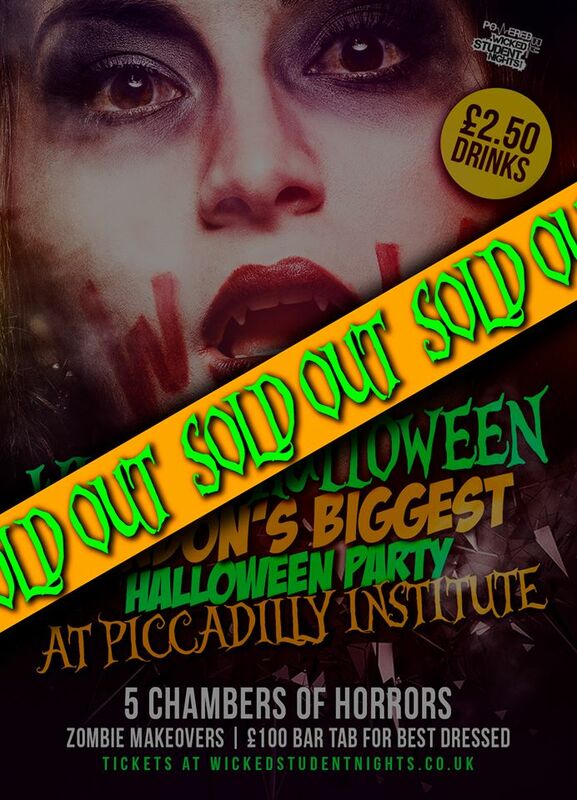 With £2.50 Drinks and 5 Rooms of Music, this night is an unmissable experience and will leave you wishing Halloween would never end. ! Free Zombie Makeovers £100 Bar Tab for Best Dressed! £1 ONLY TO DOUBLE UP ON ALL SPIRITS!